If you work with OneDrive but the 5 GB for free are not enough and you do not want to pay 2 € a month for 50 GB, you have the option to create a MEGA account that offers 50 GB for free. 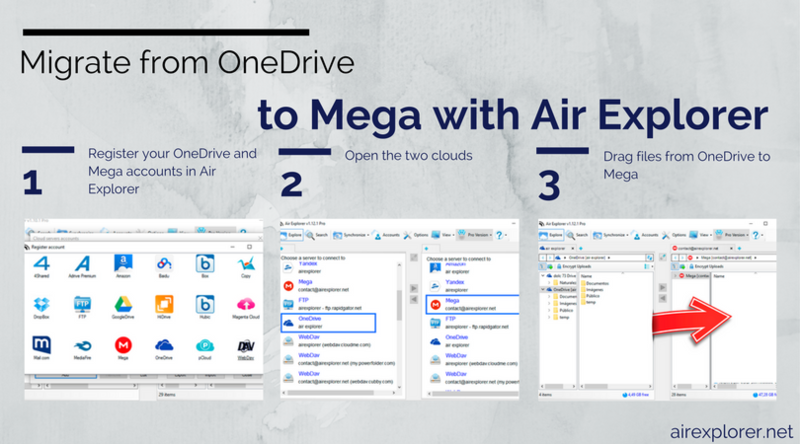 Migrating your files from OneDrive to Mega is easy thanks to Air Explorer. 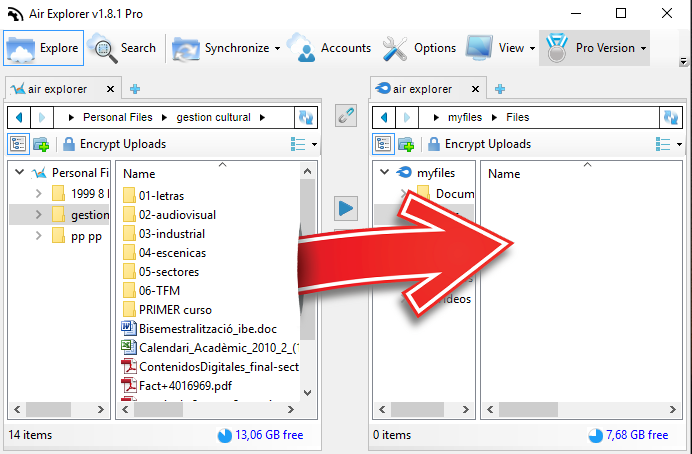 To start the task you only have to register the accounts of OneDrive and MEGA in Air Explorer. Open both, each in a different window and drag all the files from one to another. If you want to migrate from Dropbox to Google Drive or from Onedrive to Mega with Air Explorer, it is very easy. Once you’ve registered your cloud accounts in Air Explorer, you only have to open the two clouds and drag files from one to another. There are no limits of gigas to move from one cloud to another. Also if you have many files and the migration is too long, you can interrupt and resume it later.